Branch Manager, Ronnie Davis, and Circulation Supervisor, Paula Greer, and the entire staff of Albany Library want to thank our team of 48 fantastic volunteers! 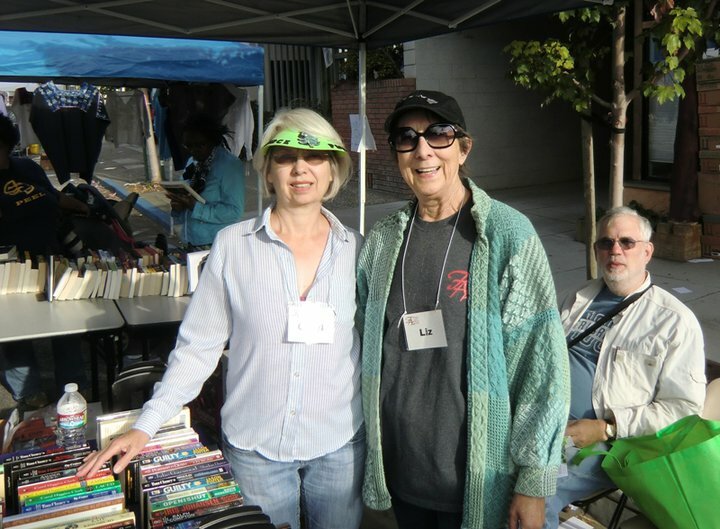 The volunteers are well-known to library users. 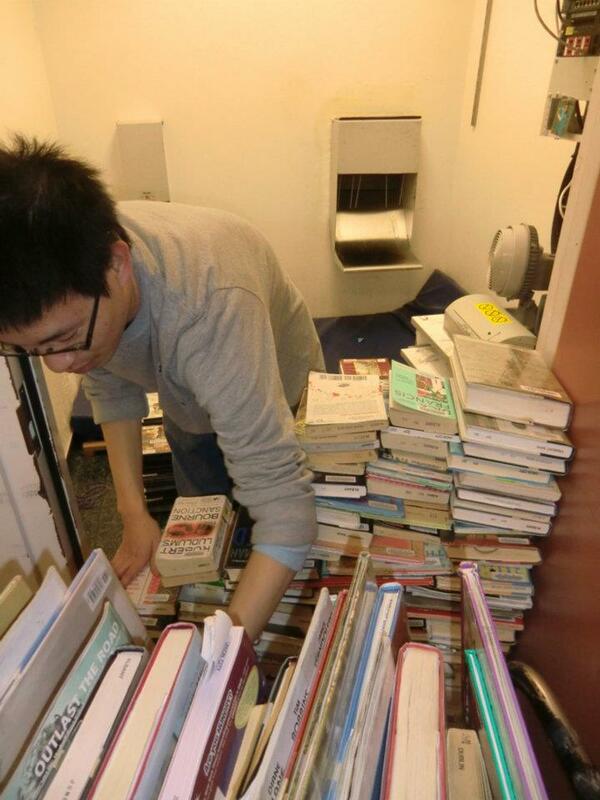 They’re always on the front lines: shelving holds, dvds and new books. They help organize the magazines and paperbacks. 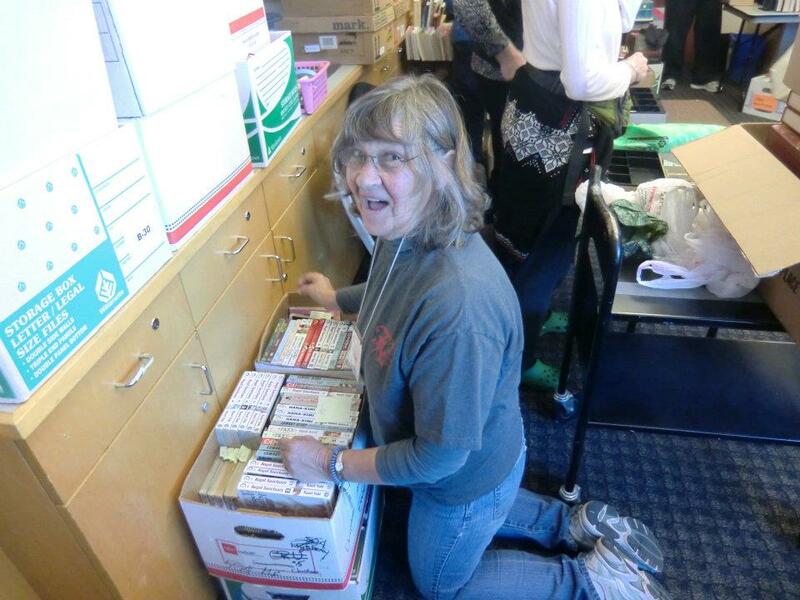 Fearless volunteers fill carts from the bookdrop, ducking dvds and books flying through the drop slots! Teen volunteers help with homework center and keep the Teen Area in order. Kid power volunteers help the youngest children spin and play games. 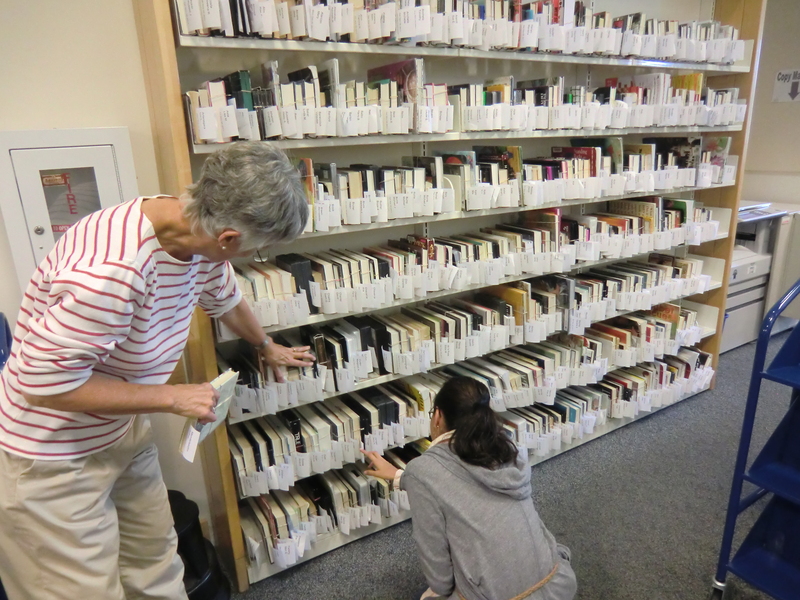 Each year, the library works with Albany Middle School to help many students fill their volunteer requirements. We’re really lucky when talented and trained short-timers stick around to volunteer later in high school. 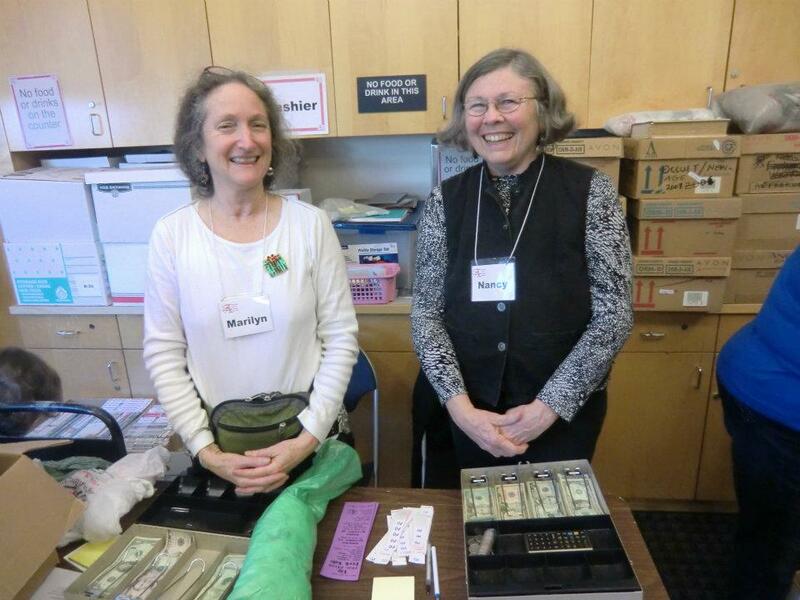 And, of course, all the Book Sales (and all the fantastic programs) are a result of the volunteers extraordinaire at Friends of the Albany Library! 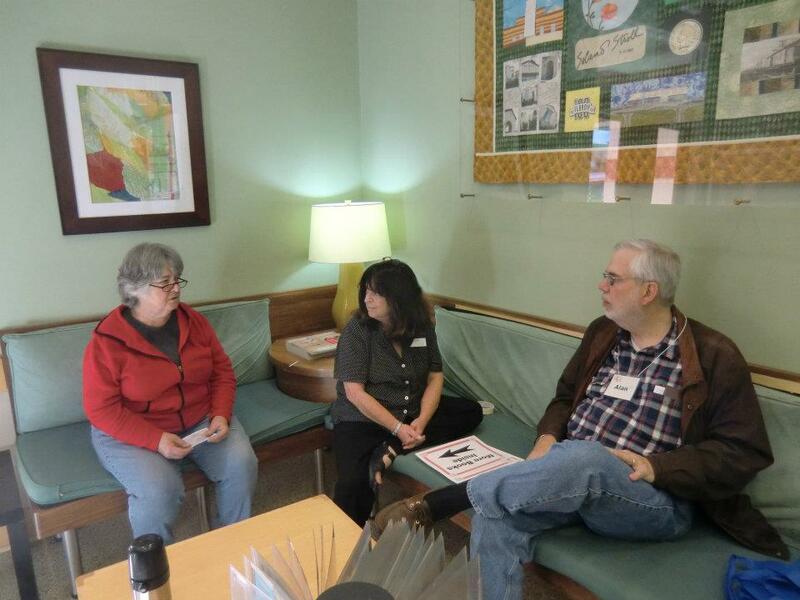 Alameda County Library is recognizing all its volunteers this week (April 15-21, 2012) with a nice gift and treats! The gift of public service is one we can all give in some way, and we’re lucky the following people have chosen to donate their time and effort to Albany Library. Andrea Banduhn, Ann Jennings, Alan Riffer, Beth Pun, Betty Schinnerer, Clara-Rae Genser, Caryl O’Keefe, Eve Nilson, Hank Olson, Jack Madigan, Jeanne Perkins, Joan Larson, Judy Goldman, Karen Carlson-Olson, Karen Madigan, Karen Street, Kay Hemp, Linda Wong-Westbrooke, Liz Keiley-Roark, Marsha Skinner, Rachel Scheibe, Susan Peters, Yachiyo Otsubo. Adult: Paul Kleven, Donna Cummings, Paula Carrell, Christine Wenrich, Mina Jenner, Jacque Burris, Susan Sheridan, Anne Herrick, Jeff Carlock, Katherine Gee, Lisa Wenzel, Sarah Jeanne Hubbell, Hitomi Shindo, Hiromi Ito. Teen: Toai Tran, Nancy Zhu, Kyaw Thant, Vivian Skinner, Daniel Xu, David Friedman, Tenzin Arya, Summer Liu, Yueming Gu, Juting Chen-Huang, Sophia Ross. Drop in and give them a thank you next time you see them working in the library!